Today Fred signed on again. He will leave Brofjorden tomorrow for London. 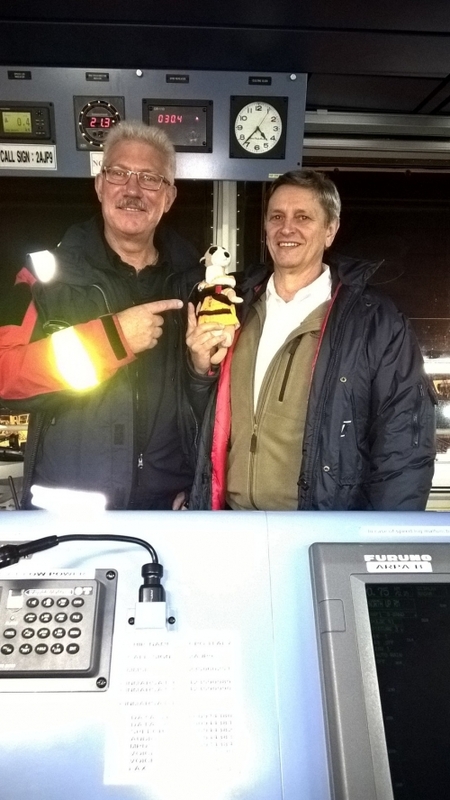 He signed on the M/T CPO ITALY and is now a crewmember onboard with Capt. Janula and his crew. We have had a very nice time with Fred in Brofjorden but unfortunally he spent some time here during my holiday. But he had a very god rest. 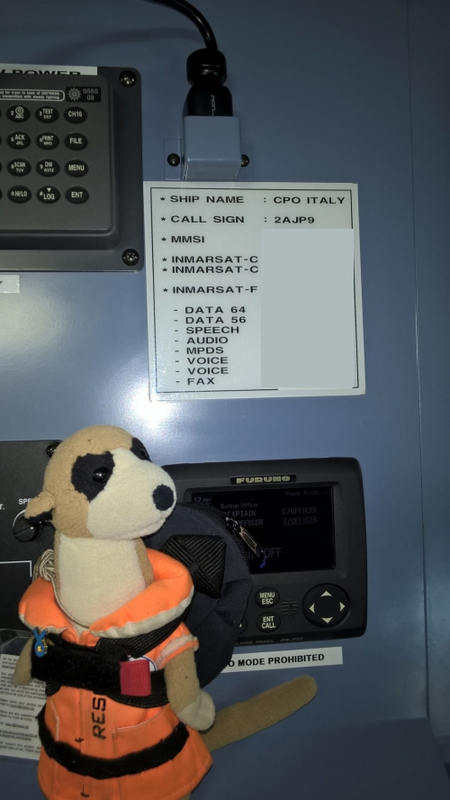 Captain and crew of the CPO ITALY will take care of him now and Capt. 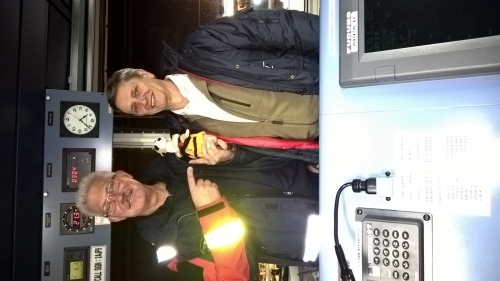 said he will inform the crew about Fred and make sure he will have a god time onboard.